Best of ExplorersWeb 2009 Awards: Winter Makalu, Simone Moro and Denis Urubko closing the games. While in Karakoram all five 8000er summits are yet untouched by man in winter, only one remained in Nepal Himalaya. On February 8 2009 a triumphant call arrived at ExWeb, bringing the astonishing news that history had been made. Simone’s wife Barbara was abroad for a climbing competition and Lena from RussianClimb was visiting in US, making ExWeb temporarily HQ for Makalu summit push reports. That’s how we became part of one of the biggest Himalayan milestones in modern mountaineering. We’re sometimes told that everything has been done in Himalaya, and yet up until that call, only 8 eight-thousanders had been winter climbed. 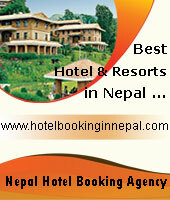 6 remained; 5 in Pakistan and one in Nepal – Makalu. 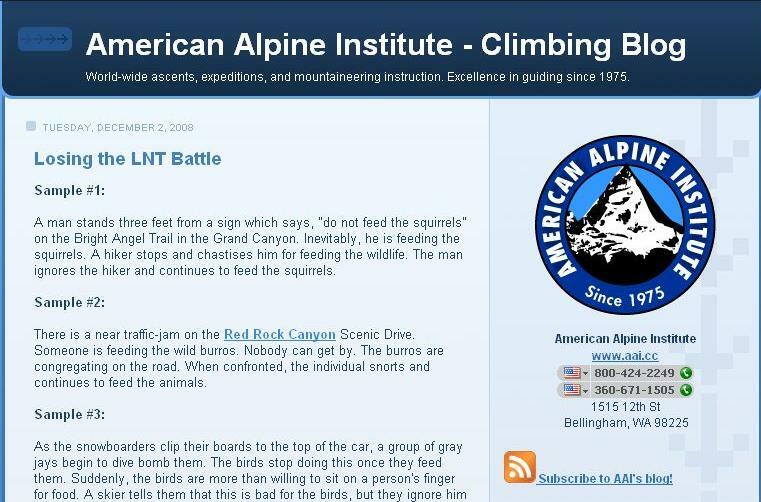 There’s a lot of bickering about styles and difficulties among climbers. It usually ends when winter hits. Few mountaineers can imagine what it means to work in constant cold and extreme conditions for months on end in high Himalaya. Those who experienced it rarely return for more. Only the hardened Polish could really endure, grabbing all the seven winter firsts and revolutionizing Himalayan climbing in an eight-year marathon during the eighties. 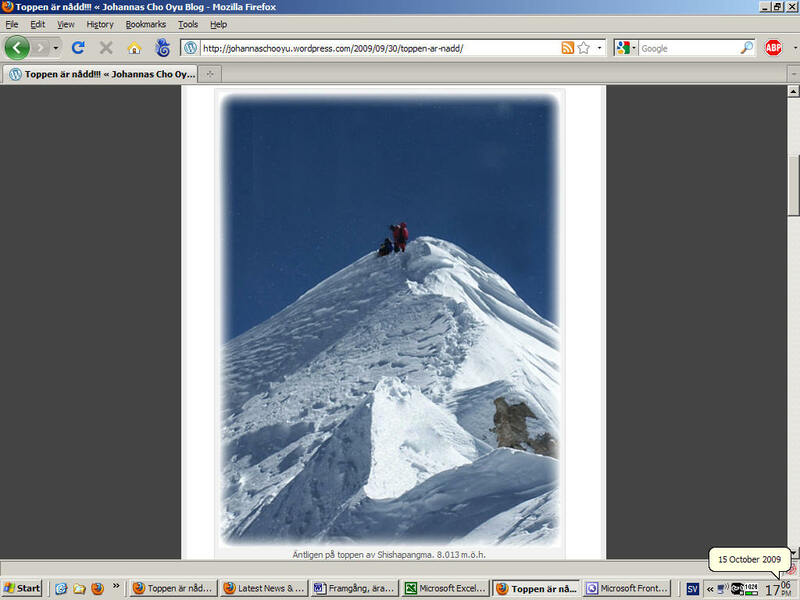 A void followed until Polish Piotr Morawski and Simone Moro topped out Shisha Pangma mid January 2005, with Simone becoming the first non-Polish climber to bag a winter virgin in Himalaya. “Luck,” said his critics – until he repeated with Makalu. Barely three weeks after his success, on February 25 Simone Moro met with Mario Curnis at the Alpine club of Bergamo. 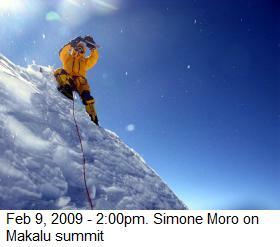 It was no surprise; Curnis had been Simone’s climbing partner on Everest in 2004. But more importantly for this occasion, in 1980 together with legend Renato Casarotto, Curnis had done the very first attempt to climb Makalu in winter. “Genius is fostered by energy,” Cicero said and Einstein, who knew a bit about both, agreed millennia later: “Genius is 99 percent perspiration and 1 percent inspiration,” he stated. Simone Moro runs marathons, writes books, goes on lecture tours, has done over 40 expeditions, updates his website in a number of languages and when his tent fell on top of him during a Makalu winter storm; unable to sleep under the flapping canvas Simone worked on his computer until daybreak. With few other takers, modern winter climbs had become somewhat of his specialty and this time Moro had a very clear strategy that he followed right from the start. Following Curnis and Casarotto, attempts to summit Makalu in winter included Reinhold Messner’s in 1985/86, who managed to get to the couloir leading to Makalu La pass in a controversial climb where a French mountaineer lost his life. Simone and Denis climbed in Khumbu for acclimatization. 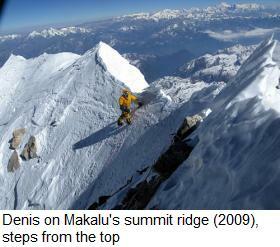 Once on Makalu, they worked the mountain fast. 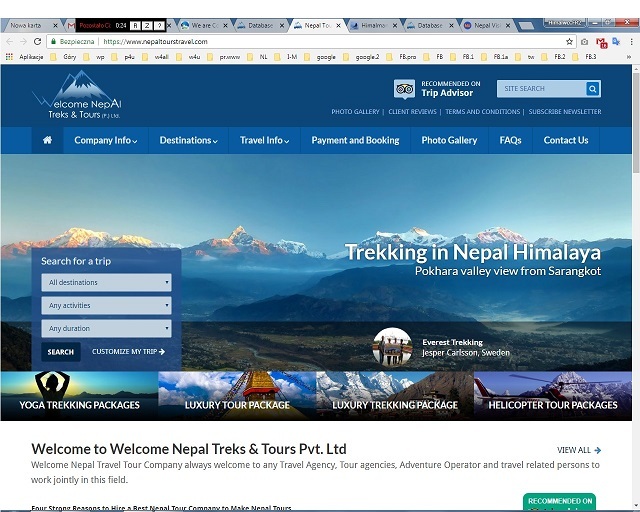 A week’s spell of bad weather was used to add altitude to their acclimatization in the narrow gully towards Makalu La to 1000 meters below Makalu’s summit and speed climbing to C1 and back. To acclimatize around Khumbu was key, plus of course the expedition food; all fresh and mostly Italian. Tortellini, pasta, tomato sauce, parmesan, bacon and prosciutto, grounded with good doses of Kazakh cereal. Since his very first taste of it on Annapurna in 1997, a fateful December expedition that became Anatoli Boukreev’s last, Simone wanted winter summits but made clear that he rejected competitive climbing situations. He was upfront about his plans and rerouted if others showed up for the same objective. A skilled rock climber, last year Simone made a first ascent of Beka Brakai Chhok in alpine style. The original goal of Batura II (7762m) was scrubbed when he learned that a Korean team planned to scale it in expedition style. In fact Simone would have rather gone for Broad Peak in Pakistan this past winter, to finish the ascent he’d attempted there for two straight years already. 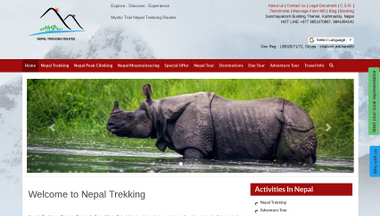 But when he heard that a Polish/Canadian combo was enroute, he rerouted to Makalu. The two friends shared a number of spectacular climbs such as the five Snow Leopards bagged in only 42 days, Everest, the first winter climb of Marble Wall in Thien Shan; a Broad Peak speed ascent; and Baruntse north. 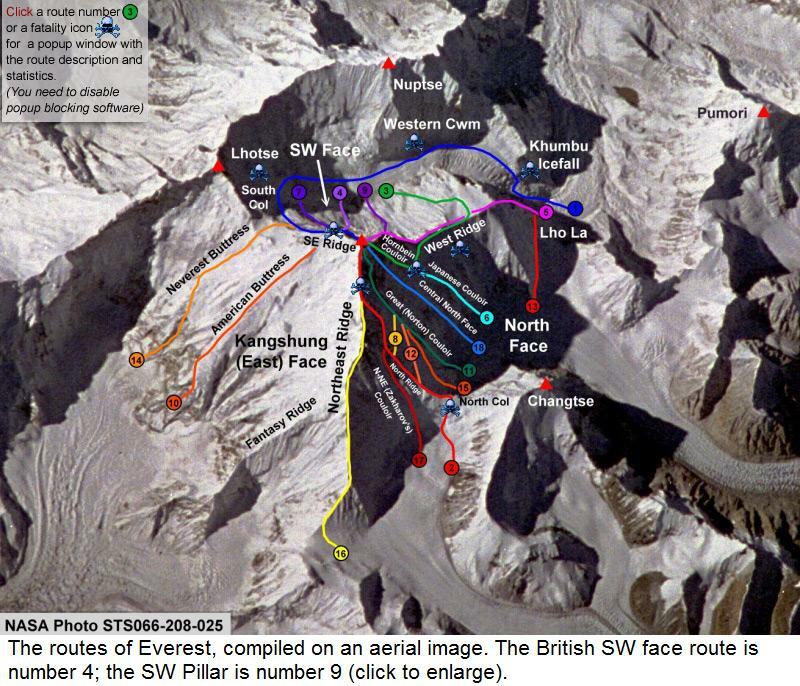 Only Lhotse fell through in 2001 due to a rescue of a British climber above 8000 meters. The two had split up for a while, and then joined forces again on Makalu this winter. It turned out a sweet reunion. Denis had tried a winter ascent of the peak as late as the previous winter season, together with regular climbing partner Serguey Samoilov. They survived the night on a rocky ledge, but at 7500 meters hard winds finally forced the climbers back. At 2 pm victory arrived – with the last Himalaya giant summited in winter – by Italian Simone Moro breaking the Polish spell for the second time and old friend Kazakh Denis Urubko by his side. It was just the two of them, no oxygen, and no Sherpa. They charged down to BC in a mounting blizzard. Explorers’ lives are by nature suspenseful and Simone returned home to a chain of dramatic events. An earth quake struck his country and his Shisha Pangma winter partner Piotr Morawski was lost on Dhaulagiri. Denis in turn lost his Makalu winter buddy and regular climbing partner Serguey Samoilov on Lhotse. “I’ve lost so many friends in Himalaya in the last two years: Karl Unterkircher on Nanga; Inaki Ochoa on Annapurna; Martin Minarik on Annapurna; Kristian Kuntner on Annapurna; Sergio Dalla Longa on Dhaulagiri and many others. It’s unbelievable…” Simone sighed. And then he took off for US, got a commercial helicopter pilot license (a big dream is to start and operate an air-rescue company in the Himalayas), improved his skydiving in San Diego, and got ready for a son expected to be born on December 31st. “If time be of all things most precious, wasting time must be the greatest prodigality, since lost time is never found again,” said Benjamin Franklin. He would have approved of the remarkable Italian mountaineer Simone Moro. 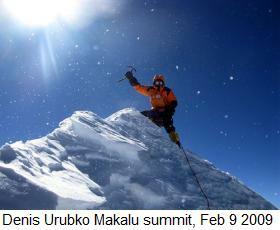 Related story: “Tina, we closed the games!” Simone Moro and Denis Urubko make winter history on Makalu. Related story: Winter Makalu debrief interview with Simone Moro, “our strategy and experience were key”. North Face athlete Simone Moro’s, 41, high altitude achievements include the first winter ascent of Shisha Pangma (8027m); a traverse of Everest (8848m) south-to-north side, with summit at 3.15 am and descent to base camp in only 5 hours; a number of new lines such as on the north face of Baruntse; a number of winter ascents and speed climbs on major mountaineering peaks. A difficult attempt on an Everest-Lhotse traverse together with Denis Urubko ended in the successful rescue of a young climber gaining Simone a number of awards for true, climbing spirit. Before the Makalu winter climb, Simone did the first ascent of Beka Brakai Chhok 6940 m (Pakistan) in pure alpine style and a 43 hours roundtrip.